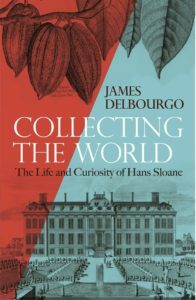 Collecting the World: The Life and Curiosity of Hans Sloane. By James Delbourgo. Allen Lane; 503 pages; £25. To be published in America by Belknap in July; $35. 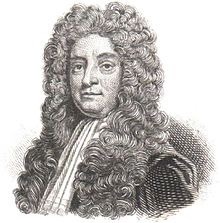 JOINED-UP words and sentences with verbs are not enough to describe Sir Hans Sloane. Only a list can do justice to this man, who was both quite remarkable and, to some, a little touched. Over the course of a lifetime, he managed to accumulate 3,516 volumes of manuscripts, as well as books of prints, which together amounted to 50,000 volumes; 32,000 medals and coins; 5,843 testacea and shells; 173 starfish; 12,506 vegetable substances and 55 mathematical instruments. This is just a selection from Sloane’s collection, much of which he eventually catalogued himself. Or try this: “a set of surgeons’ instruments made from fish-skin; inks and inkhorns; face-paint; medicinal powders and pills; women’s shoes made of leather and silk; gold and silver pins and needles for the practice of acupuncture; tobacco pipes; several portable Buddhist ‘idols’; gilded rhinoceros horns; ‘metallick burning glasses’ and ‘a ball of several colours to be thrown into the fire to perfume a room’.” These are some of the objects Sloane acquired from Japan. The Anglo-Irish physician, collector and naturalist was not a man of small ambitions. He aimed for universal knowledge, available to all humankind, with a serious play for personal immortality thrown in. He did not make such a bad fist of them: his acquisitions became the foundation of the British Museum, as well as the collections of the Natural History Museum and the British Library. He would surely be irritated that his name endures more strongly in London’s topography than in universal understanding. There are a dozen or so Sloanes and Hanses listed in the city’s “A to Z”, because Sloane had the presence of mind to buy up most of Chelsea in the course of his long and prosperous life. He was born in Ulster in 1660 and died at 92 with a cunning plan to leave a permanent mark on human civilisation. He had set himself up in London as a physician and made himself the undisputed king of the capital’s medicine men, attending the best bedsides for the best prices. He married money and enjoyed the revenues from vast slave-plantations in Jamaica. Sloane was president of the Royal College of Physicians and the Royal Society but he was not exactly a man of ideas. What he liked was stuff. He was a man of the Enlightenment, but not a man remarkable for enlightened thought. An enemy called him “master of only scraps”. In his early days Sloane spent a year in Jamaica, working as a physician just as Britain was concentrating on acquiring an empire. Prudently he stuck to water while his patients drank themselves to death on Madeira wine. This was the time when he began to get serious about collecting. After he had accumulated his Jamaicana, he returned to London and set about collecting the rest of the world. In this he had the assistance of a large fortune, a vast network of contacts—he was reckoned to have 1,793 correspondents—and a limitless curiosity, or perhaps a limitless appetite for curious things. Sloane sold the lot to the nation posthumously, for £20,000 (worth about £4m, or $5.2m, now), which he reckoned was a quarter of its value, to be paid to his two daughters. Had the nation turned down this offer, his executors had instructions to offer the stuff to St Petersburg. He was a curious man in every sense. His biographer has struggled with a shortage of anecdotal and humanising material. 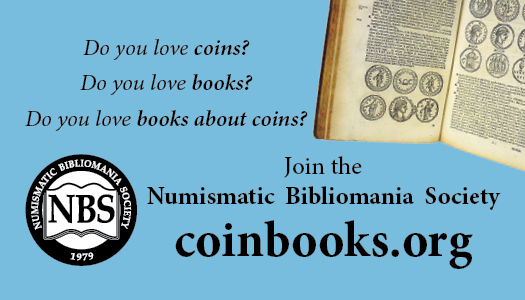 That gives “Collecting the World” a somewhat static feel, like a cabinet of curiosities. Little of Sloane’s stuff remains on display in London, though there is still a store of his Jamaican specimens in the Sir Hans Sloane herbarium at the Natural History Museum. It is a reminder of that great tradition of learning, based around museums and libraries and emblematic of what the British Museum would come to describe as being, “for the benefit of all studious and curious persons, native and foreign”. A tip of the hat to Wayne Homren, editor of The E-Sylum, who shared this item with his readers in his June 18, 2017 edition, after being made aware of it by Q. David Bowers. Check out our earlier post on the medals honoring Hans Sloane!